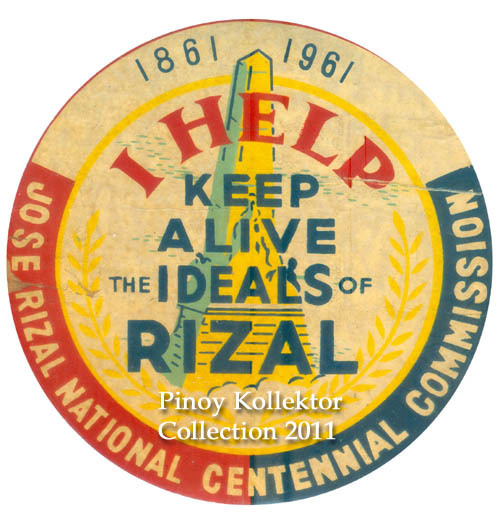 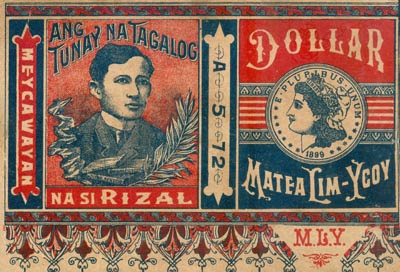 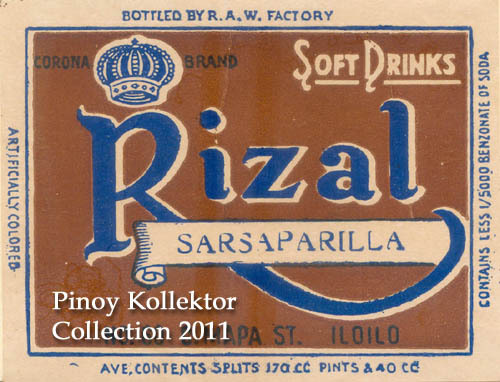 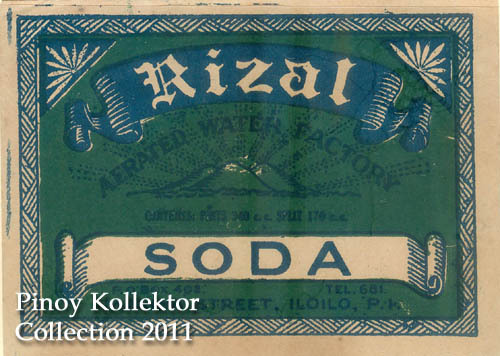 Rizal, like any celebrity endorser, is no stranger to the world of commercialism. 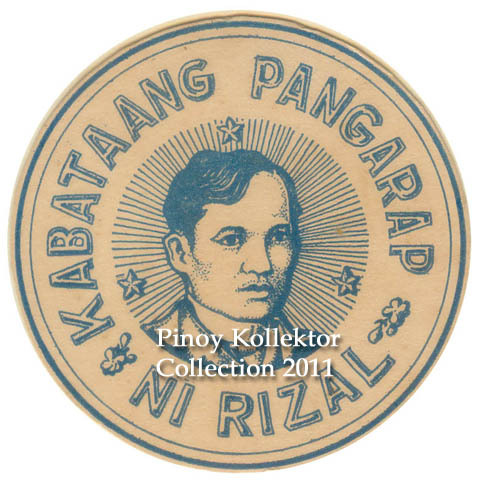 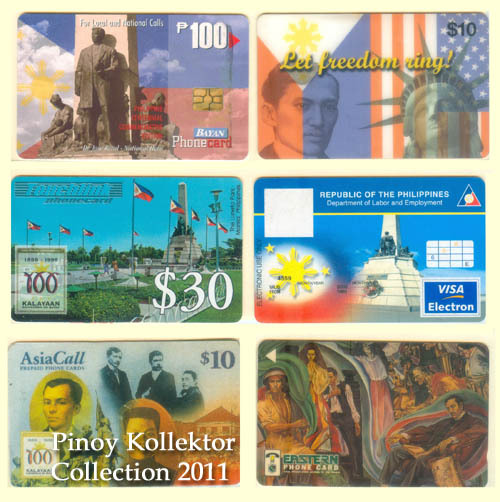 Unlike those long-gone Hollywood celebrities getting royalties for the use of their pictures for product and brand, the use of Rizal’s face and name is free. 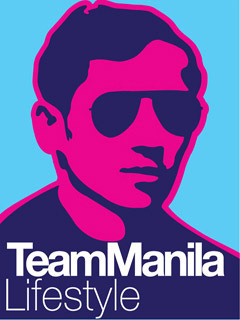 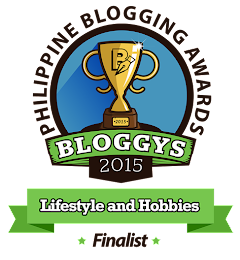 If companies would pay royalties to Rizal’s family then they would be far richer by now. 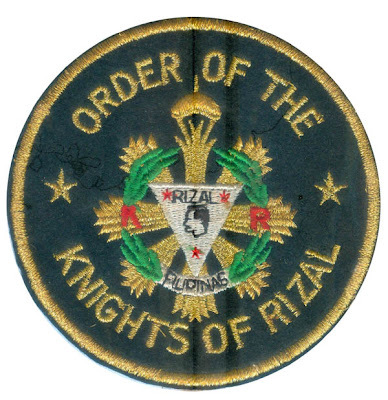 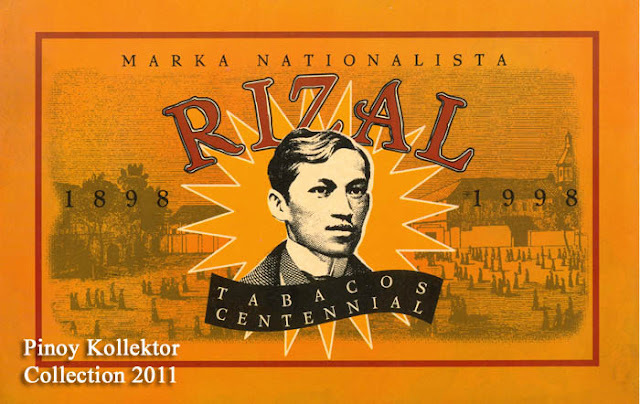 There are those who believe that Rizal’s name should be treated with respect and not to have it on products like cigar and beer, but the name has been used to label such commodities – in good faith of course. 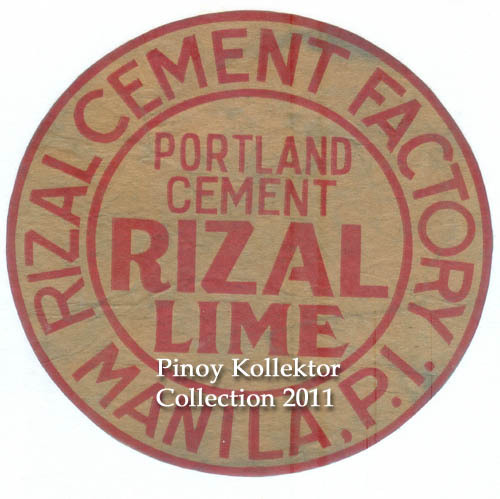 For almost 110 years now Rizal is still endorsing a cement company, a bank, a university, t shirts and other pop culture memorabilia. 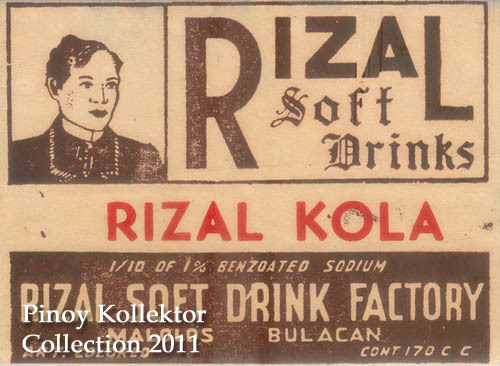 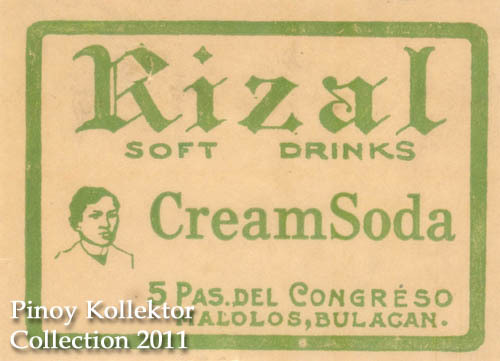 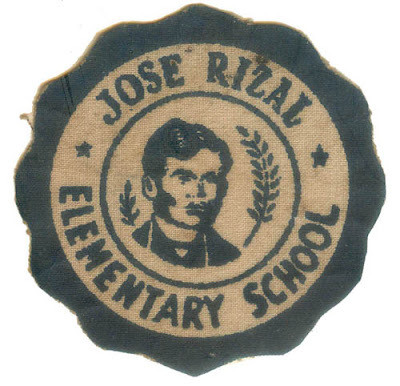 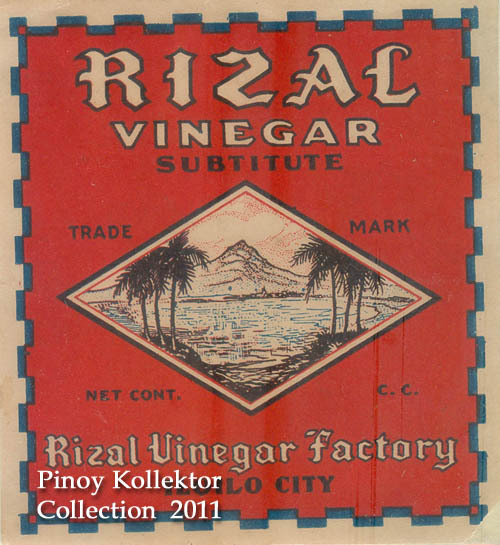 Here are some of my Dad's memorabilia that used Jose Rizal as endorser to products and companies. 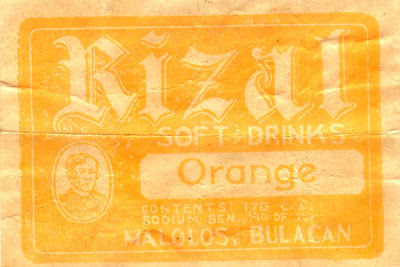 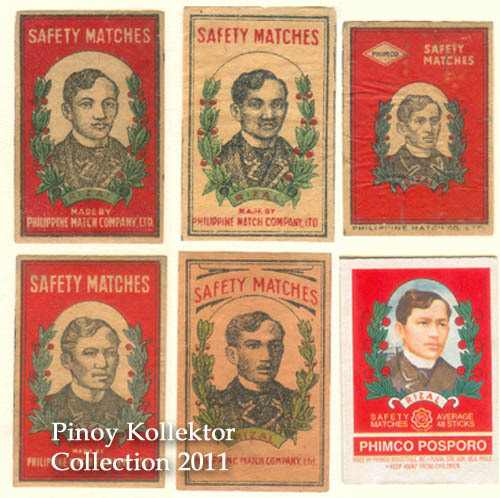 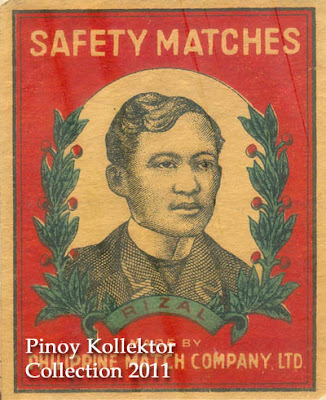 Safety Matches Label by Philippine Match Company, Ltd.
RIZAL LIME Portland Cement by RIZAL CEMENT FACTORY, Manila P.I. 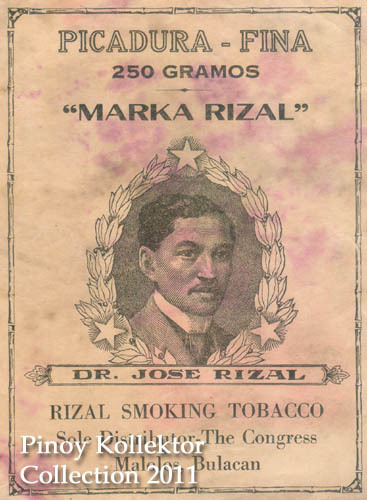 Japanese Government in 1943 promoting the ideals of Jose Rizal. 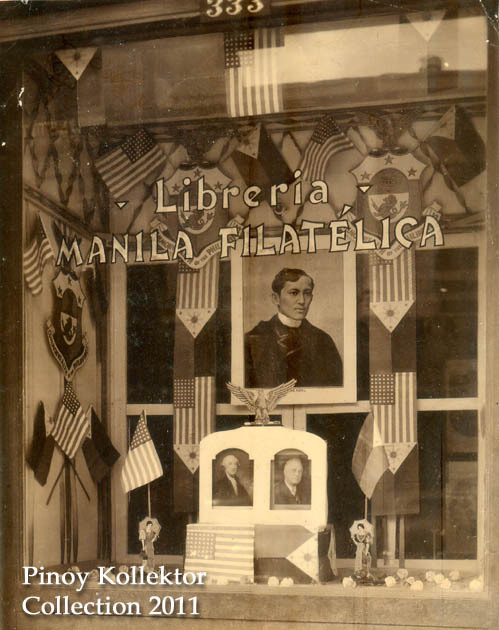 Plaza Lawton in Manila was named after General Henry W. Lawton, which was later renamed Liwasang Bonifacio. 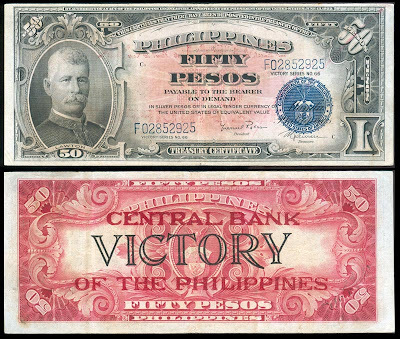 Lawton was the first American general and the highest ranking officer to fall during the US-Philippine War in 1899. 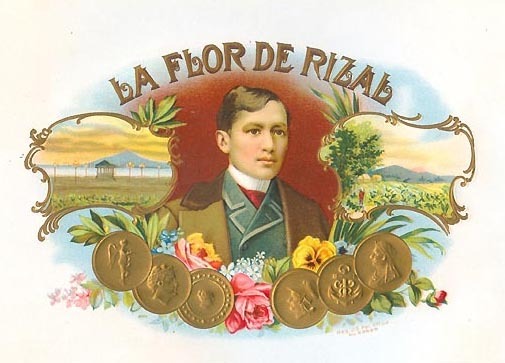 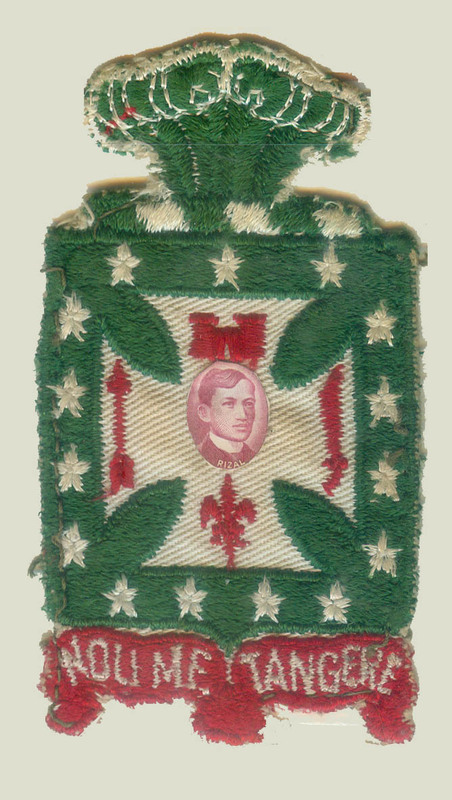 He was very popular among the US volunteers and soldiers, and was so well-respected in the Philippines because of his bravery and numerous victories during the war. 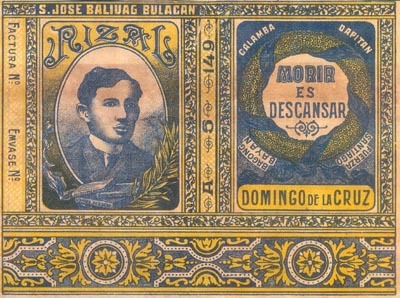 At the Battle of Paye (San Mateo, Rizal), Lawton, was killed by a Filipino sharpshooter, under the command of Aguinaldo’s general Licerio Geronimo. 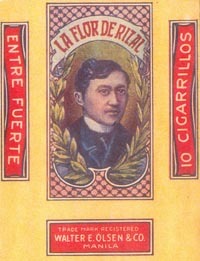 Lawton laid in wake at the chapel in Paco Cemetery Manila. On December 30, 1899, his body left the Philippines on board the transport ship USS Thomas and was laid to rest at Arlington National Cemetery. 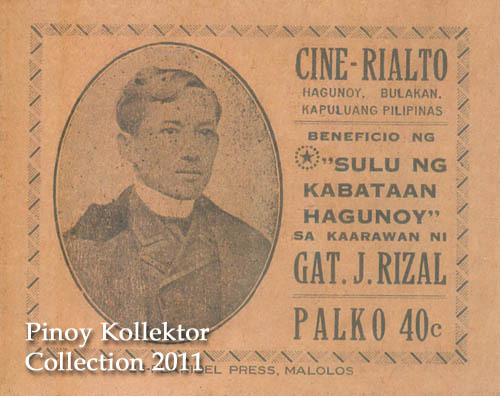 To remember him by, his image appeared on our currency during the American period. 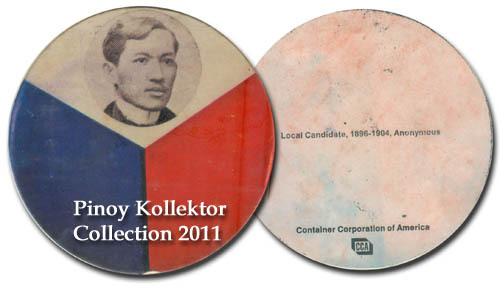 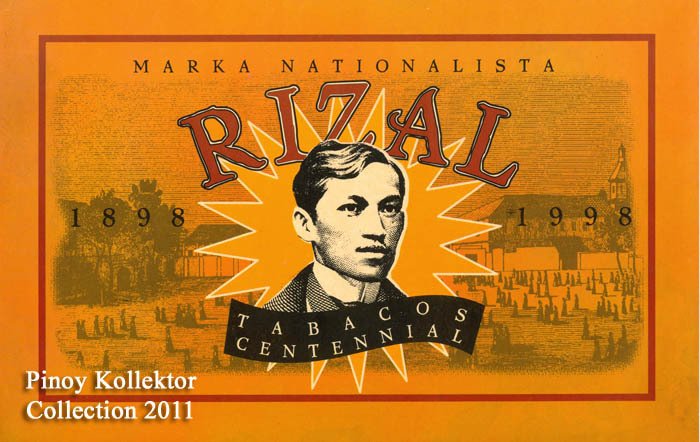 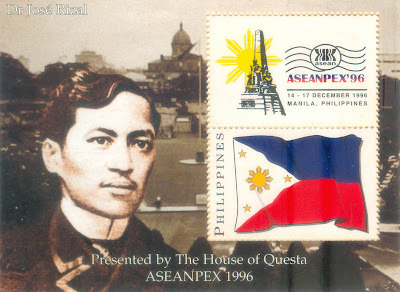 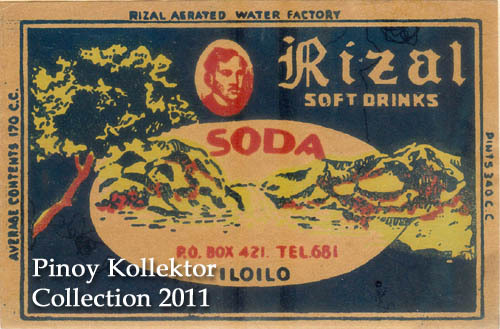 To commemorate the 150th Jose Rizal’s birth anniversary I am sharing my Rizal Cigarette wrappers. 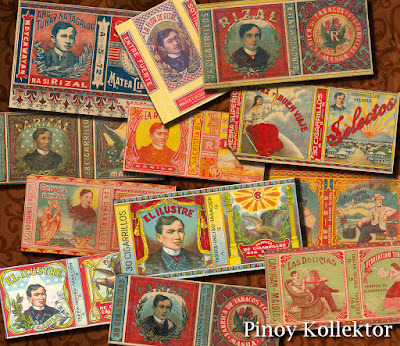 Most of these cigarette wrappers were produced in Binondo during the turn-of-the-century. 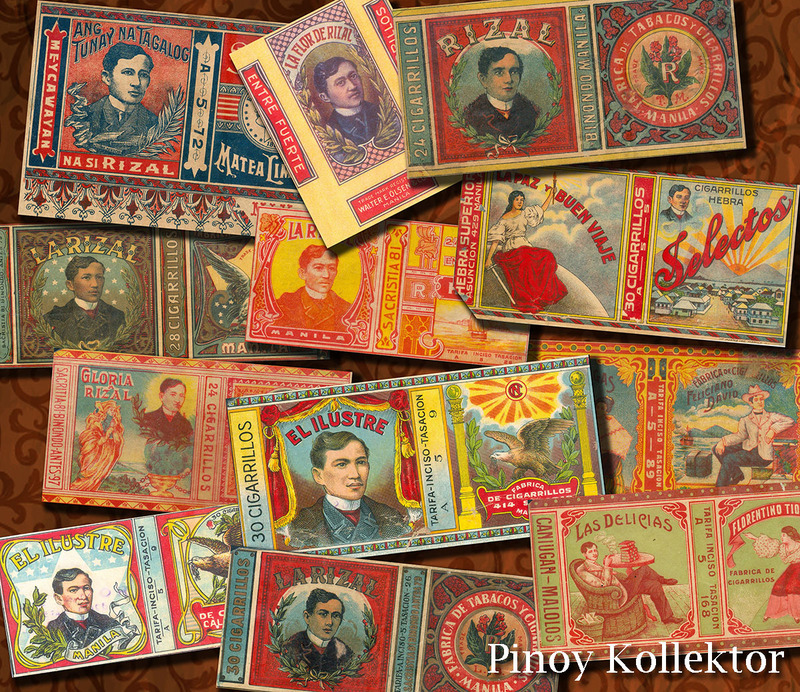 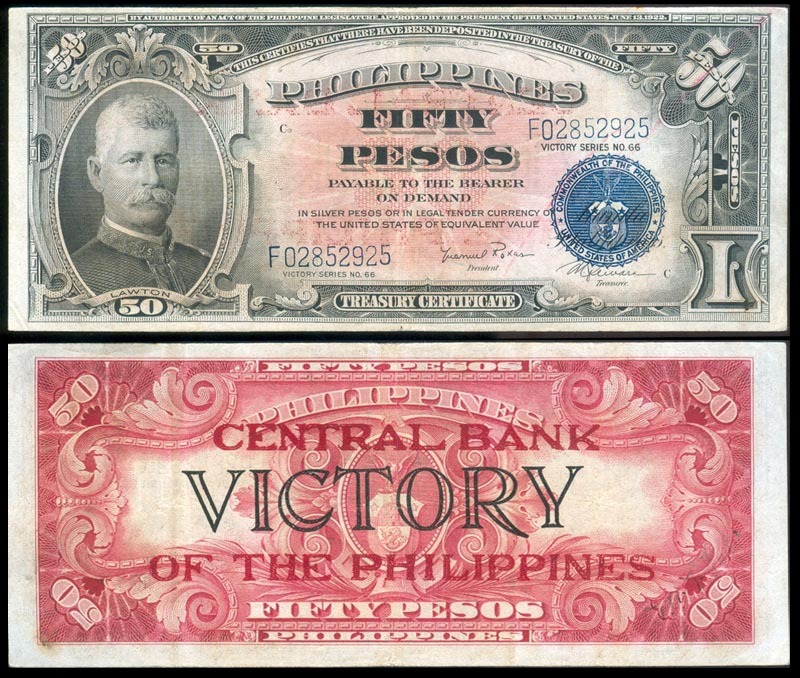 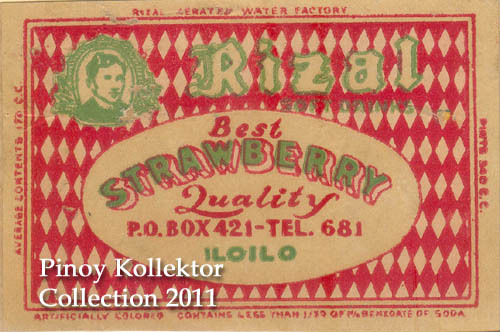 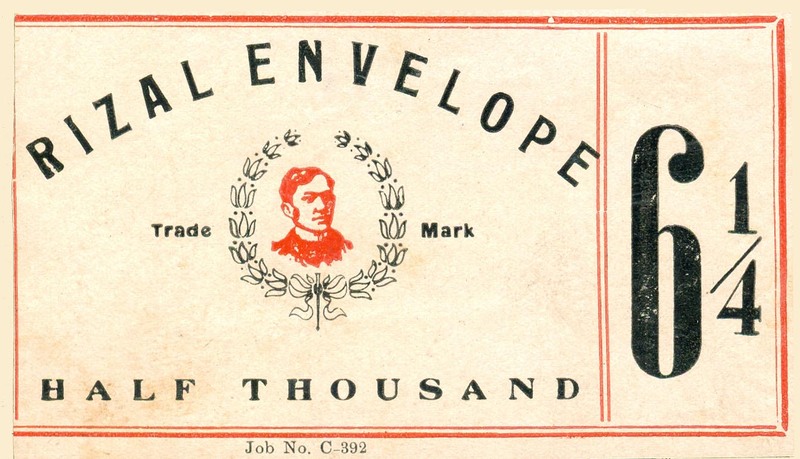 These beautiful wrappers show our admiration for Rizal’s heroism. 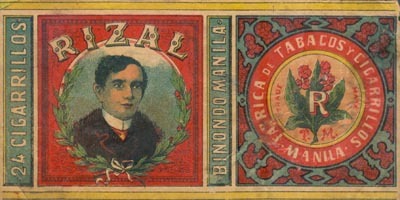 The wrappers are rich in color with nice Art Nouveau design. 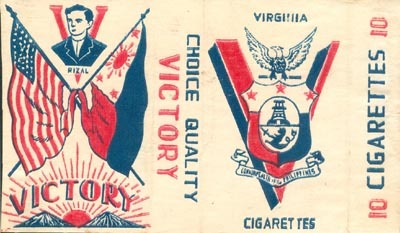 The design style conveys a distinct story, speaking of the cigarette’s unique identity and the era it was made.